How long a bad credit can affect your financial history in Canada? 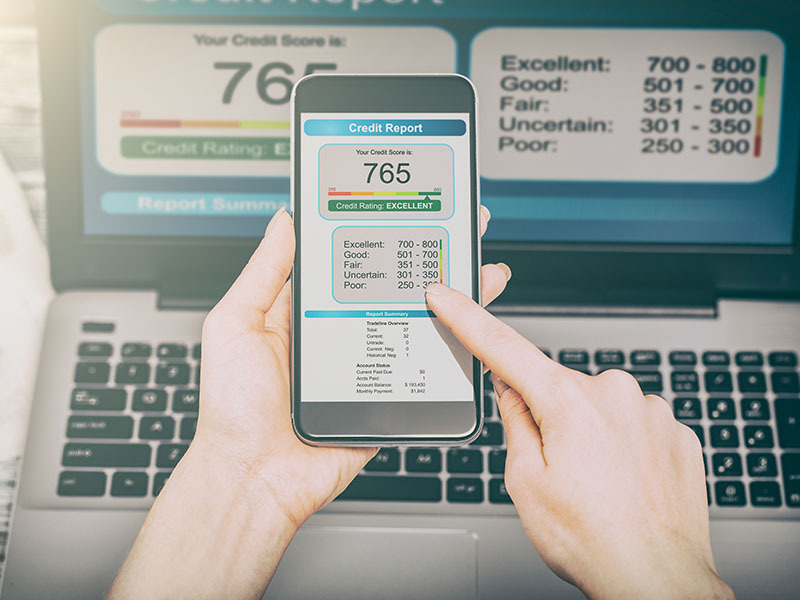 Your credit report compiles all the information about your credit habits and creates a tool that can be used by lenders and creditors to assess your creditworthiness. Having a bad credit in Canada, and everywhere else, is almost as compelling and restrictive as having a criminal record. In other words, in the eyes of banks and financial institutions, you are not really a trustworthy person. Fortunately, for those with bad credit, overdue accounts do not stay on your report for life! It is important to know that your credit rating may vary. It changes depending on fluctuations in your financial situation. But how long can a bad credit really affect a financial history in Canada? In order to see more clearly, here are some important concepts and steps that can help to keep a credit report on point. Why is it important to have a good credit history? First and foremost, it is important to understand that having a good credit history is a decisive and relevant factor in many stages of life such as buying a car or a house. A credit check will also be conducted when you want to start your own business, and banks will not grant a loan without conducting a credit assessment. For lenders and banks, your creditworthiness is a decisive criterion. It is important for banks and other conventional credit institutions to make sure that customers will keep their commitments when is it time to reimburse what was borrowed. Assessing your financial history allow lending institutions and banks to evaluate the potential risk of granting loans to someone. In such a context, negative antecedents related to your past credits constitute a major handicap. Obviously, very few banks are willing to grant a loan to a person with a bad credit score. Depending on your score and ranking, you will receive lower interest rates and are more likely to be approved for loans and credit cards. However, what is considered a good credit score or a bad credit score in Canada? From 300 to 559: You have a poor credit score. You need to improve your credit history because, at this range, it is almost impossible for you to have access to the most basic financial services such as applying for a loan. Around 560 to 659: This is a fair credit score, which means that you are not on the bottom of the scale, but almost. If you want to have access to more banks and lenders services, you have to keep on working on your financial responsibility and be more trustworthy. 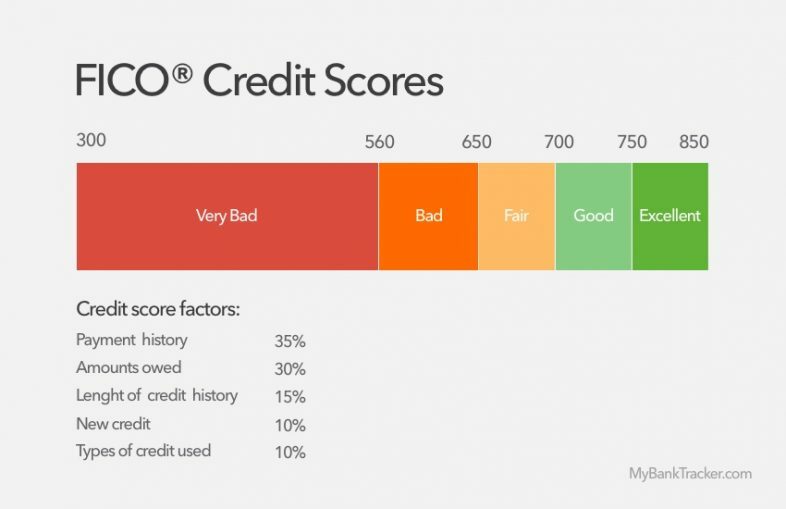 Around 660 to 724: You are in the good area of credit score. This is where the average Canadian scores are located. It is easier to get a loan, and your credit history is strong enough to build a stronger credit file which will lead to lower interest rates and better mortgage rate. Around 725 to 799: This is what lenders consider a very good credit! You have an amazing choice among various credit propositions from lenders and banks, and you have access to the lowest interest rates available. Around 800 to 900: You have an excellent credit history! Congratulations, you have got to the point where the lowest interest rates and mortgage rates on the market are yours. You master your finances and every institutions and entity approved it: banks, lenders, landlords, employers, etc. How to know if you have a bad credit score in Canada? For Canadians who want to know about their credit score, there are two possible choices: Equifax or TransUnion. Both companies are consumer credit reporting agencies and offer to get a credit report and score online. You can also order your report by phone, mail or fax. Both agencies are free, but you might have the fee applied when you ask for faster results. Aside from Equifax and TransUnion, some banks also offer a credit score report service. You can check out with your bank advisor or with your online banking service. What is on your credit history and how long can it affect your credit report? There are different factors that can affect your credit score. Those factors will reduce or enhance your credit rating and influence your ability to be approved for the credit and loan services you need. Your payment history (It is the most important component of your credit report, it count for 35% of it. ): 6 years. Accounts closed due to fraud: 6 years. Debt Management Programs: 3 years. Accounts in collections: 6 years. Inquiries made by credit grantors: minimum of 3 years. Note that when you use Equifax or TransUnion services, both agencies do not store credit information for the same periods. In addition, they do not necessarily evaluate on the same criteria, they may vary. What is important to know is that every daily expense you make has an impact on your credit report. So you have to learn what you can do to improve your credit rating, and pay attention to the elements that can affect it. A credit report is like your ID, and your credit score is an access pass through banks, finance companies, retailers, and, sometimes it is a criterion to get a job. No need to tell that it is better to have a good credit history to live correctly rather than a bad one that can only allow you to survive. Nonetheless, you also must remember that a bad credit is not an irreversible sentence. You must work on having a responsible management of your expenses and being diligent about paying your debts on time. Depending on your financial situation, it could be a long-term job, but perseverance and responsibility always pay.